I won't pretend that I understand the various ins and outs of copyright law, especially not the copyright laws of other countries. 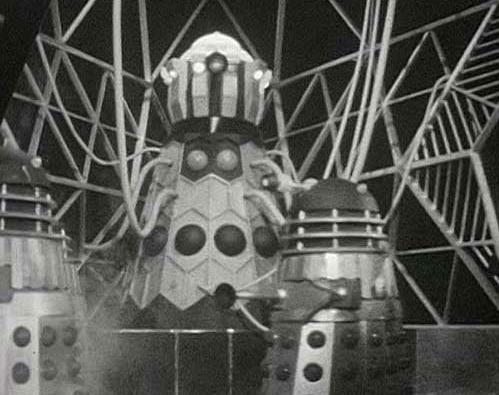 I will say that I'm amazed that Terry Nation, the man who created the Daleks, was somehow able to hold the copyright to the Daleks despite having created them specifically for Doctor Who. Jack Kirby is probably still spinning in his grave over that one. Since Nation was trying to get a Dalek show off the ground in America, The Evil of the Daleks was intended to be the last time our beloved Doctor faced his most famous foes, and it was the last time... for about four years. At least it made for a pretty good serial, with several twists and turns and the introduction of a new companion, Victoria. And as an added bonus, there's definitely a hint of I, Borg in there too.